They are known as man's best friend, who will stay loyal to the end. But as this heartbreaking video shows, dogs are just as loyal to their own - even when put in a dangerous situation. 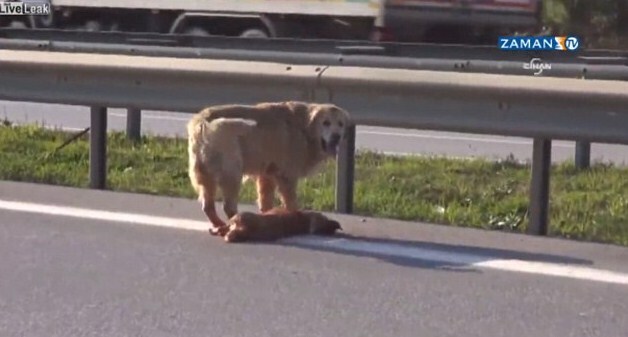 In this clip, a golden retriever trots on to a busy motorway in Turkey to protect his friend after he was hit by a car. The injured dog lies helpless at the side of the road, but his companion rushes to his aid and pulls him to safety. He then patiently lies in wait at the side of the busy motorway. The video was posted to the video sharing site, Liveleak.